Kentucky Baptist Disaster Relief has developed a strategy plan called ‘Ready Church” to help local churches to minister when disaster strikes in their community. Ready Church seeks to assist churches in preparing a response strategy for disaster and crisis events for the sake of Christ. Because most churches and organizations fail to prepare for any kind of disaster, and thus are caught unprepared and ill-equipped to minister in times of crisis. Because Kentucky averages a flood event every 6.5 days. Because Kentucky averages 14 tornadoes a year. Because Kentucky lies along the New Madrid earthquake fault line. It is estimated that a 7.0 magnitude earthquake or larger would impact 90,000+ people in Kentucky. Because people need the compassion of Christ in the loss of disasters and crisis events. Because people need Christ, and are often opened to the Gospel when compassion is demonstrated in the midst of crisis. This past month I had the privilege of leading ten members of the Little Bethel Baptist Association in western Kentucky, on a two-day vision tour to eastern Kentucky. 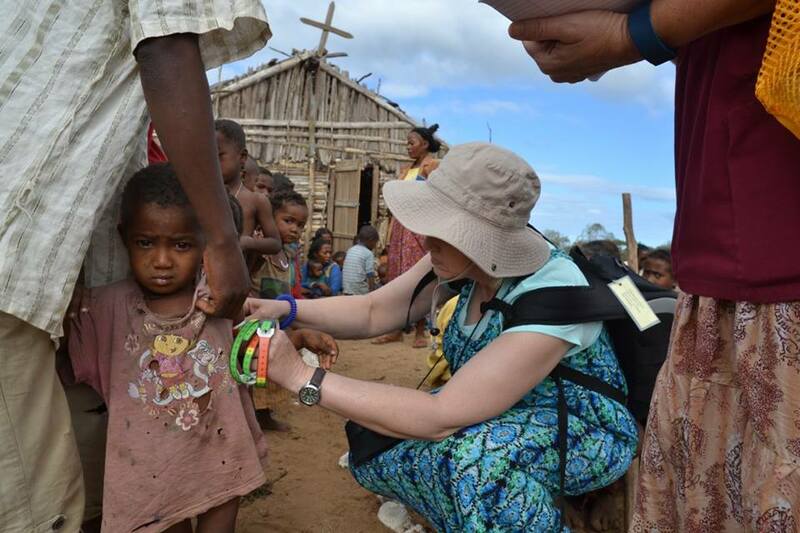 We visited God’s Love from a Diaper Bag in Jenkins, a ministry directed by MSC Missionaries Lester and Bessie McPeek. God’s Love from a Diaper Bag began approximately fourteen years ago when Lester and Bessie began handing out diapers to mothers who could not afford to purchase them for their babies. From there the ministry has grown to also include all types of baby items, baby showers for expectant mothers, food and clothing for the entire family, home repairs, school and hygiene items, Vacation Bible School, Backyard Bible Clubs, a dental clinic, and all types of outreach. From there we went to Marrowbone and a stop at the Freeda Harris Baptist Center. MSC Missionaries Greg and Alice Whitetree have served at this ministry for over 30 years. Greg and Alice planted themselves deep into this rural community and minister to families at their point of need. While there we met a team from Glenrock Baptist Church in South Carolina that had come to serve with the Whitetrees. After a nice dinner at Texas Roadhouse and a good night’s rest at the Holiday Inn Express in Pikeville, we were back on the road again the second day. Our first stop was God’s Appalachian Partnership (GAP) in McDowell, where MSC Missionary John Morris shared about the history, the vision, and the ministry at GAP. GAP, like all of the other ministries we visited, exists to meet the spiritual and physical needs of people in Appalachia. In 2013 John Morris became the Executive Director of this ministry that began in 1999. GAP’s outreach events include resource distribution, beanstalk, a community Easter Egg Hunt, Kidstock (a back to school event providing new shoes, socks, school supplies, and backpacks for students in Head Start through 12th grade), and a large Christmas outreach. From GAP we traveled to Williamsburg, KY and Cedaridge Ministries, where we met MSC Missionaries Keith, Joyce, and Holly Decker. Cedaridge also ministers to families in their area through food and clothing, baby items, hygiene items, home repairs, Backyard Bible Clubs, and many other ways. They host large events that reach hundreds of people and are very intentional, as are the other three ministries, in sharing the gospel of Christ at each event. Together these four ministries reported 188 professions of faith in Christ in 2016 and had 3811 volunteers assist with their ministries. Little Bethel Association took this vision tour to learn about the ministries and how they might come alongside to help reach these areas for Christ. They are prayerfully considering which ministry or ministries to partner with. Perhaps your church, association, or even you personally would also like to explore opportunities to serve right here in Kentucky. There are ministries and missionaries all across our state that would love to have you partner with them. Let us help you get started by planning your mission tour. To learn more, please contact us at [email protected] We would love to help connect you. When it comes to refugee resettlement in the U.S., this last year has been a difficult one with many ups and downs. Presidential debates, travel bans, Supreme Court decisions, terrorist attacks by immigrants and passionate people on both sides of the argument have made refugee resettlement a very polarizing issue in America. There is a lot of discussion and division about how to respond to foreigners entering our country, even among some members of the Church. I understand the issues are complex and I don’t pretend to know everything about immigration. But I witnessed something this weekend that reminded me how important it is to simply love people, even foreigners and strangers. I am part of a host team at my church for an Ethiopian family that has just arrived in the U.S. There are many responsibilities for our team, like setting up housing, enrolling kids in school, teaching the family how to shop at a “food store” and ride public transportation, or showing how and when to take the trash to the street for pick up. Learning how to do the simplest of tasks can be overwhelming for a refugee who doesn’t speak the language or know the culture, but who has so many new things to learn and remember. We spent most of the day Saturday doing many of these things with our new friends. While we were busy helping Abdella and his family, my five-year-old grand-daughter was connecting with his five-year-old daughter. 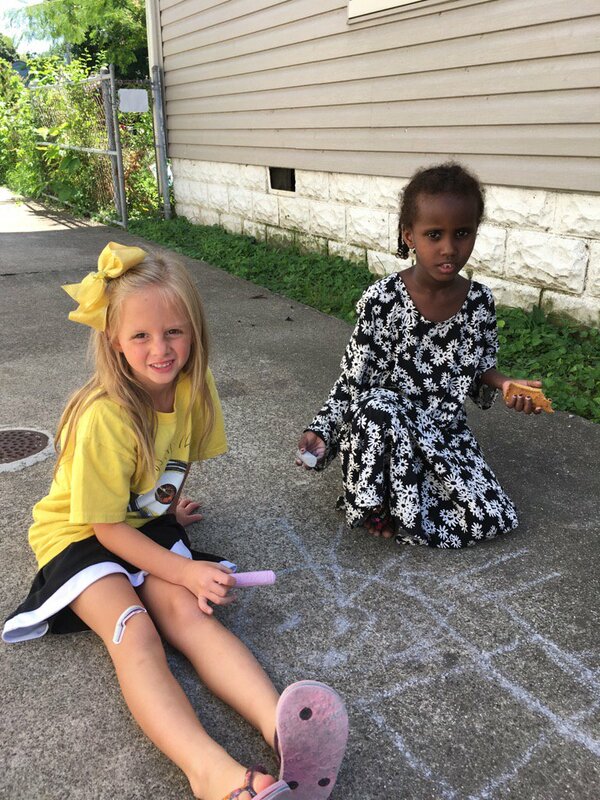 His daughter doesn’t speak English and my grand-daughter doesn’t speak Swahili, but it only took a short time for them to cross cultural, racial and language barriers with a piece of chalk on a concrete driveway, because love knows no boundaries. Very soon, they were laughing and playing as if they’d always known each other. Love had crossed several barriers. Our desire as a host team is to overcome the barriers of race, culture and language by loving this family so much that they will come to know the One who is love. While there may be different opinions concerning how the government should administer immigration, the Bible has something to say about how we should love and treat others, including the foreigner living among us. The following scriptures are only a few of the many, that give us wisdom about how we should love refugees. Leviticus 19:33-34, love refugees as yourself. Leviticus 19:9-10, leave food for the poor and the foreigner. Deuteronomy 10:18-19, God loves the foreigner living among you. Ezekiel 16:49, the sin of Sodom was that they did not help the poor and needy. Exodus 23:9, do not oppress a foreigner. Malachi 3:5, do not deprive foreigners around you of justice. 1 Kings 8:41-44, do whatever the foreigner asks of you. While on vacation at the beach recently, my wife wanted the two of us to wake early at least one morning to watch the sun rise. However, we kept putting off rising early for the comfort of sleeping in. On our last day at the beach, my wife decided to venture out and watch the sun rise from the deck. She didn’t bother to wake me, but wanted to capture the beauty of the moment on her phone. Just as the sun was breaking the horizon, her phone died—not because it was old, but because it wasn’t charged. In frustration, she ran back upstairs to our bedroom, grabbed my phone and ran back outside to the deck (all the while, I kept on snoozing). The sun had already climbed the horizon just a bit, but she was able to capture its beauty as it lit up the sky and reflected off the ocean that last morning of our vacation. I would love to say that we stood there together in the moment enjoying God’s creation and even taking a selfie to prove we had gotten up early at least one morning, but I can’t. We did not enjoy that moment together because one of us was still asleep. In fact, the only reason I knew she had made the adventure outside is because of the pictures on my phone. While I laughed as she told me her story of yet another phone-dying mishap, I am grateful for the pictures she captured. I am reminded of the Psalmist who says, “From the rising of the sun to its setting the name of the Lord is to be praised” (Ps 113:3). One thing is for certain, the author of this psalm is concerned for the praise of the Lord from the where the sun rises to where it sets. In other words, every place on planet earth impacted by the sun’s rising and setting is called to offer up praise to God. Thus, the point of the author here is to say that every place on planet earth is called to praise God. Here, the call of praise is not for creation in general (though that is true elsewhere [e.g., Ps 148]), but for people. While the rising and setting of the sun affects us all, the praise of God does not flow from all. In fact, of the 7.4 billion people on the planet, each of which benefit from the sun, 4.3 billion are unreached with the good news of Jesus Christ. For the praise of God to be on the lips of all affected by the sun’s rising and setting, all need to not only know of the God who created this sun, but of the God who sent His Son. They need to know that the Son who holds the sun in place lived a sinless life, died a sacrificial death, and was raised to life again. He did all of this in order that people all over the planet will turn from their sins and believe that Jesus is Savior and Lord, even Lord of the rising and setting of the sun. Now, how might this matter for you? If you are a follower of the Son, you are privileged to be part of God’s plan to make His Son famous not only across the street but across the sea—from the rising of the sun to its setting. The question remains, what part are you playing in this plan in order that the name of the Lord is praised? Let us help you to connect with ways to make Jesus famous by contacting us at [email protected]. Kentucky Baptist Disaster Relief began as a ministry outreach of the Kentucky Baptist Convention in 1984. For 33 years, the trained volunteers of disaster relief have brought help, healing, and hope to those affected by disaster. During this time, over 25,000 volunteers have been trained, and Kentucky Baptist Disaster Relief has developed incredible resources that can be mobilized in times of disaster. When Hurricane Andrew hit Florida in 1992, Kentucky Baptist Disaster Relief was there. When 9-11 shook the core of our nation, Kentucky Bap tist Disaster Relief volunteers were among the first responders to arrive in New York City. When Hurricane Katrina devastated the Gulf Coast of Mississippi and Louisiana, Kentucky Baptist Disaster Relief helped serve over 1.3 million meals the first week. When the Kentucky ice storm paralyzed almost half of the Commonwealth in 2009, Kentucky Baptist Disaster Relief mobilized chainsaw teams, mobile kitchens, shower units, and response to 18 counties. When the Haiti earthquake rocked this poverty-stricken island in 2010, Kentucky Baptist Disaster Relief sent 17 teams to minister in the midst of the rubble. 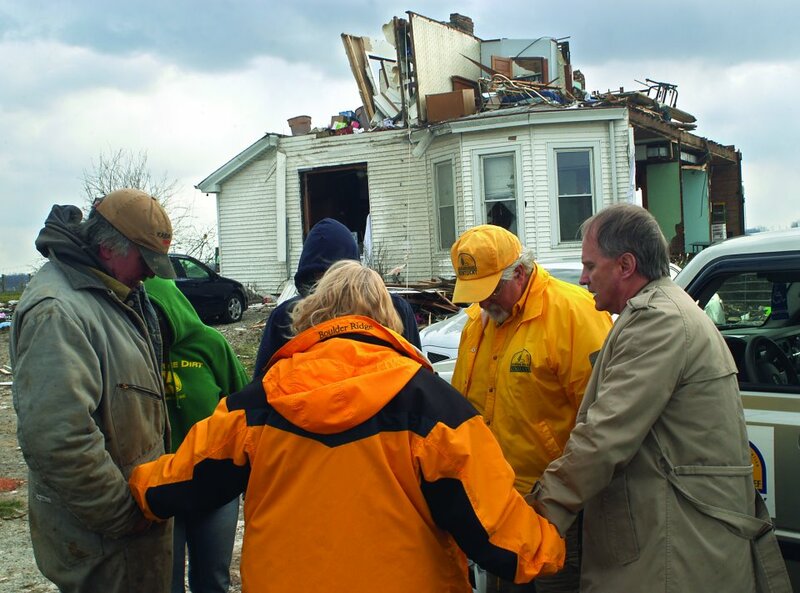 When a F-3 tornado leveled the small Kentucky town of West Liberty, Kentucky Baptist Disaster Relief had chainsaw teams, chaplains, childcare teams, shower units, a communication trailer, and a mobile kitchen on the ground in less than 24 hours. When Hurricane Sandy unleashed its fury on New York City in 2012, Kentucky Baptist Disaster Relief was the first on the ground. 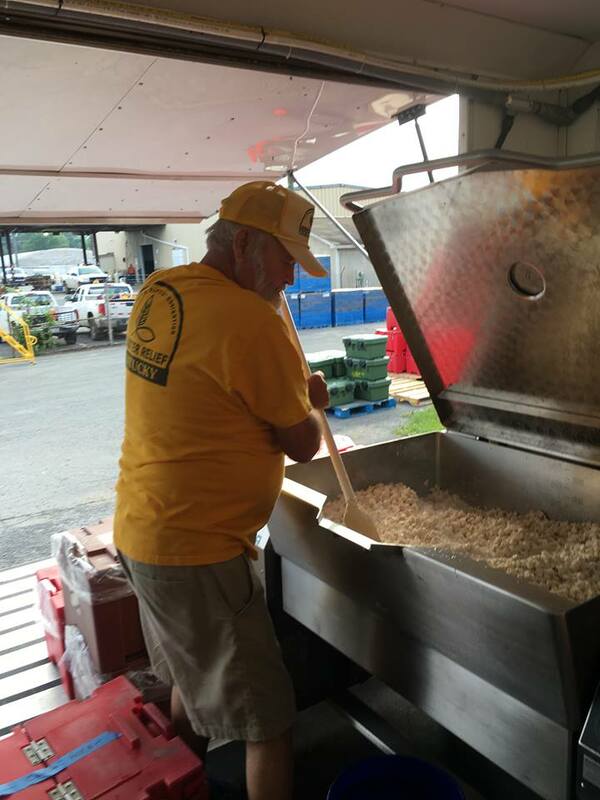 When floods destroyed over 1000 homes and took 23 lives in West Virginia in the summer of 2016, Kentucky Baptist Disaster Relief provided almost 40,0 00 meals, assisted in 214 flood clean-up jobs, and made almost 1000 Chaplain visits. When famine gripped millions of people in Lesotho and Zimbabwe in 2016 and 2017, Kentucky Baptist Disaster Relief partnered with the International Mission Board and Baptist Global Response to provide over 1 million meals to starving people in Sub-Saharan Africa. And not only was Kentucky Baptist Disaster Relief there serving faithfully in countless disasters for the last 33 years, every Kentucky Baptist church was there. Every Kentucky Baptist church was there, because your gifts to the Cooperative Program make ministries like Disaster Relief possible through the Kentucky Baptist Convention. Together by our support of the Cooperative Program, we are bringing help, healing, and hope to the hurting and hopeless. Thank you Kentucky Baptists for your gifts to the Cooperative Program and for supporting Kentucky Baptist Disaster Relief!